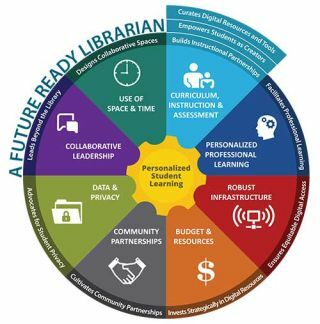 As a Future Ready Schools® (FRS) district, Baltimore County Public Schools (BCPS) served as the host of the recent Digital Promise League of Innovative Schools (League) meeting. The theme of this meeting was focused on equity and showcased the many ways BCPS is making strides toward providing access and opportunity for all students. Over the past several years, BCPS has made significant strides in rebranding the role of the school library media specialist. BCPS library media specialists have knowledge and experience of the ever-changing information landscape, regularly collaborate with and offer professional development support to their colleagues, and are experienced in the use of technology tools for teaching and learning. BCPS’s library spaces have shifted into physical and virtual “learning commons” in order to support student inquiry and collaboration both during and outside of the school day. Makerspaces have been created in many of our school libraries to provide students with hands-on, interest-driven, collaborative learning opportunities that socialize learning and design. The League’s fall meeting attendees were provided with an opportunity to observe instruction, interact with students and staff, and participate in a showcase of program elements.